The popular cross-platform file-syncing application Dropbox is a hit among Lifehacker readers, but it has one major drawback: It only syncs files placed inside the My Dropbox folder. Here's how to get around that limitation. 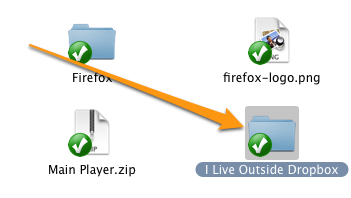 [You could also]use SyncToy to echo changes from another folder to your Dropbox folder. This keeps 2 copies on disk though. The wiki also offers an Automator workflow to streamline the process if you're using OS X. If this syncing obstacle has held you back from using Dropbox, give these symbolic links a try. If this seems like too much of a hassle, previously mentioned Syncplicity and a few other popular file-syncing apps have user-defined sync folders baked in. I believe this would still require the total storage of the junction-linked folders to stay within the 2GB max dropbox size for the free version, correct? I'd like to see a pipe-tool that will forward any file synched into my dropbox, over to my skyDrive (25GB) and optionally removed from the dropbox upon successful 'moves'. that would keep the dropbox clear and would allow the nice drop-box front end, including folder/ multiple files at a time 'drops' onto the clunky skyDrive one-file at a time interface. Does Junction work with folders in the LAN?